Well, reflections not compatible with SA-MP. Crashes when any vehicle streams in. Hehe, yeah... It came out just some hours ago and found about it, thanks anyway! I know this is a strange question, but if you like car modders... Can you make an option to turn off the bugfix for the "transparent texture when headlights on" bug? Because there are some car mods which uses that bug for headlights and stuff... and it would be nice to keep that behavior... Or, no love for car modders? And also this mod kills vertex lightning on vehicles. So basically vertex light isn't applied for vehicles (which have - mods) at all. In this case I suggest an config file to be able to turn stuff on/off. - Faggio: No exhaust model and specular on wheels. - Pizzaboy: No exhaust model and specular on wheels. - Tractor: Specular Lighting on wheels. - Farmtr1: Specular lighting on wheels and f*cked up shadow. - Caddy: No exhaust model, no exhaust smoke and specular lighting on wheels. - Rhino: No exhaust smoke and specular on wheels. - BF-400: Specular Lighting on wheels. - Bike: Specular Lighting on wheels. - Mountain Bike: Specular Lighting on wheels. - FCR-900: Specular Lighting on wheels. - NRG-500: Specular Lighting on wheels. - Wayfarer: Specular Lighting on wheels. 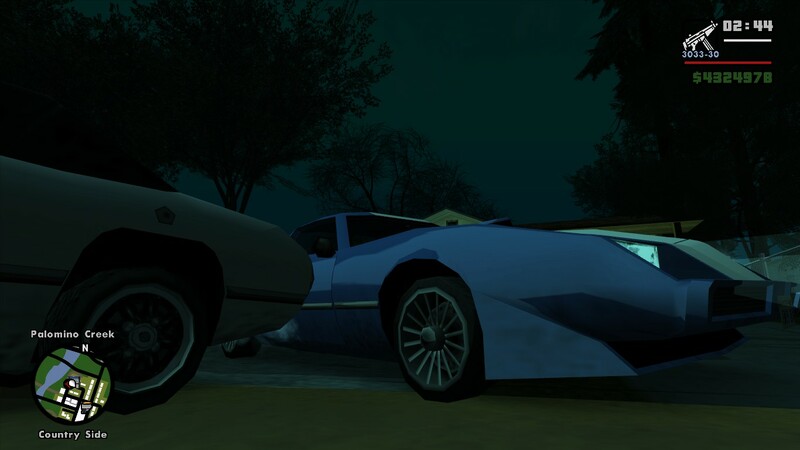 - Intruder: Specular Lighting on wheels. - Buccaneer: Specular Lighting on wheels. - Cement Truck: Specular Lighting on wheels. - Combine Harvester: Specular Lighting on wheels. - Monster: Specular Lighting on wheels. - Picador: Specular Lighting on wheels. - Boxville: Specular Lighting on wheels. - Willard: Specular Lighting on wheels. - Road Train: Specular Lighting on wheels. - Stafford: Specular Lighting on wheels. - Stratum: Specular Lighting on wheels. - Sultan: Specular Lighting on wheels. - TopFun/Berkley's Van: Specular Lighting on wheels. - Utility Van: Specular Lighting on wheels. - Hydra: Specular Lighting on wheels. - Nevada: Specular Lighting on wheels. - Shamal: Specular Lighting on wheels. 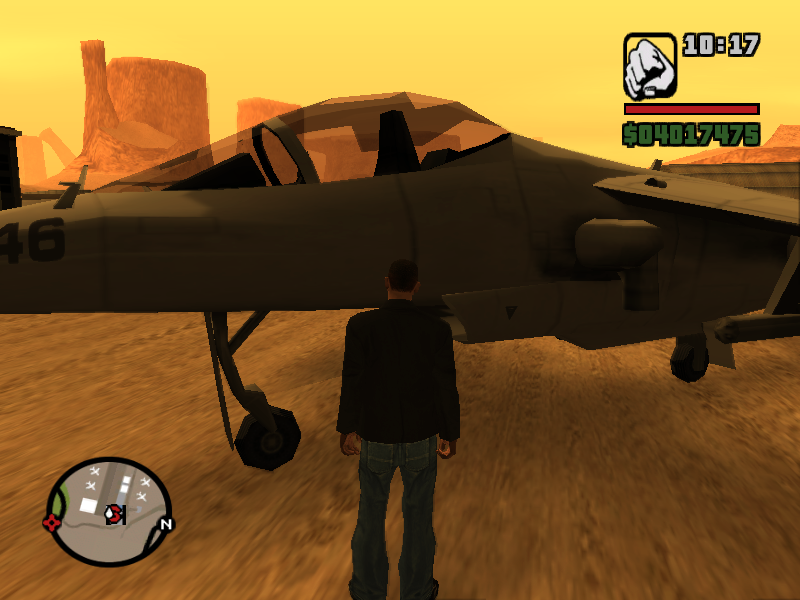 - Stuntplane: Specular Lighting on wheels, missing rear wheel, messed up shadow. - Leviathan: Specular Lighting on wheels. - RC Bandit: Specular Lighting on wheels. - RC Baron: Specular Lighting on wheels. I don't understand your first point. That was just a bug in in the code in my code, how can you use that for mods? Or are we talking about different things? Your second point sounds interesting and I will try to implement it. Do you have a prelit car DFF so I have something to test on? The car mod wheels seems like it's not detected as a 'wheel'. This only happens to the mod garage wheels, at least some of which has specular lighting. That's because they have the pipeline set in the DFF I think. I don't think I can handle any more of these special cases in my mod. My current idea is to convert all the PS2 cars to PC and do the rendering exactly as on the PS2. But for that I have to find out how the pipeline is set and configured there so I can implement it on PC. I think I will write a Renderware plugin that understands the pipeline configuration of the PS2 files so you can use 1:1 converted PS2 files directly. It's obvious that it will override the vehicle pipeline just like mine. They can't work together. Maybe your exe is not compatible. Try compact or hoodlum exe (you have to find them yourself). What texture does this use to create the reflection? Is it xvehicleenv128? 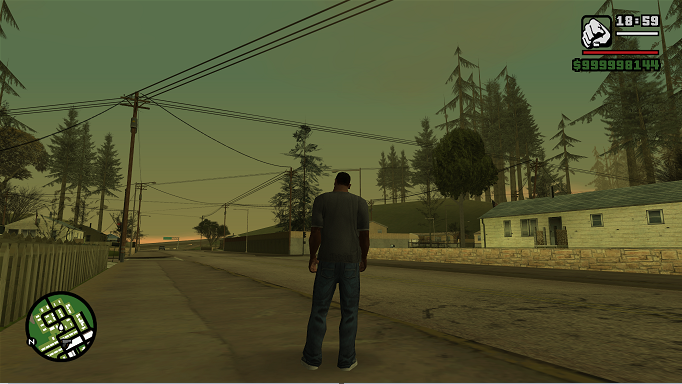 Yes, that's the environment map (from MatFX). The specular map is vehiclespecdot64. 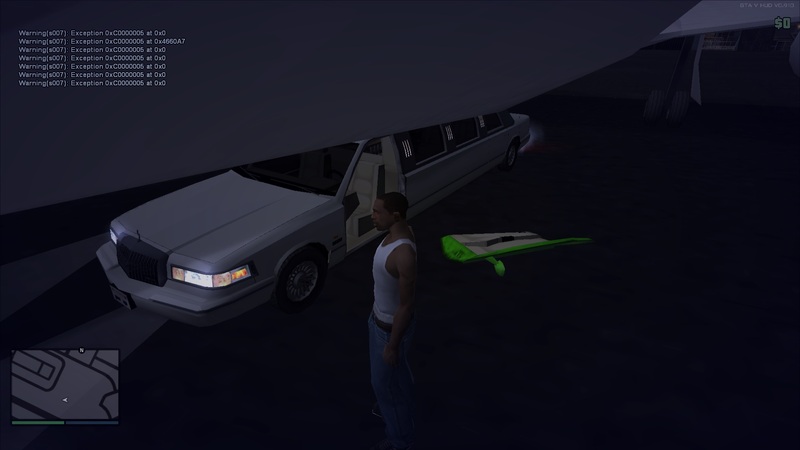 1.: In gtasa, there is a bug, the back side of poligons (on elements which have transparent texture/material on it, any part) getting invisible when headlights are on. You can see this behavior on basically any stock gtasa cars too (look the back side of bumpers and stuff). This ps2 reflection mod fixes that bug. There are some car mods (I created some of them too) which have materials flipped to make elements only visible when headlight is off. 2.: here's one of my mods that I created which have vertex lightning: MY AT-400 mod, this plane has vertex light on the outside(rear tail-wing with the logo lighted up) and the full interior have vertex light on it too. This ps2 reflection mod fully kills all vertex lightning on it. Added vertex colors (alpha value is not used, however) and dual pass rendering for transparent geometry. Not sure how I would implement that, or if I even want to. You mean the green door? This didn't happen in the previous version? It doesn't happen to me. so I tried the alpha value 77. But ingame it doesn't show the glass. Kind of stupid when really wanting the glass but much more opaque. Does this fix it? Can I lower the alpha value? Under 77 and have the glass almost visible? Just wondering, you already did 2 things that many people thought it was impossible, do you think you can fix the "blocky" sky gradients SA has, or at least improve it a little? Yeah the green door. Happens on all vehicles, I didn't noticed it before. Primary color getting that green, secondary color getting purple. Not just the doors but every(bumpers too) detaching car parts have the same thing. btw where to download older versions for testing? Oh please yes! Those disgusting 8bit color-ish sh*t hanging in the sky makes my eyes bleed and my stomach is crying and vomiting and reading self-help books. Weird, doesn't happen to me. I'm using compact exe and SilentPatch. Also I think there is not much you can do about the sky, as ugly as it may be. Dafuq did I just read lol , but seriously The Hero if you can take a look into this it will be much appreciated. EDIT: Didn't see you edited your post sorry. The Hero, you are going to upload all PS2 cars to PC? Would be nice. 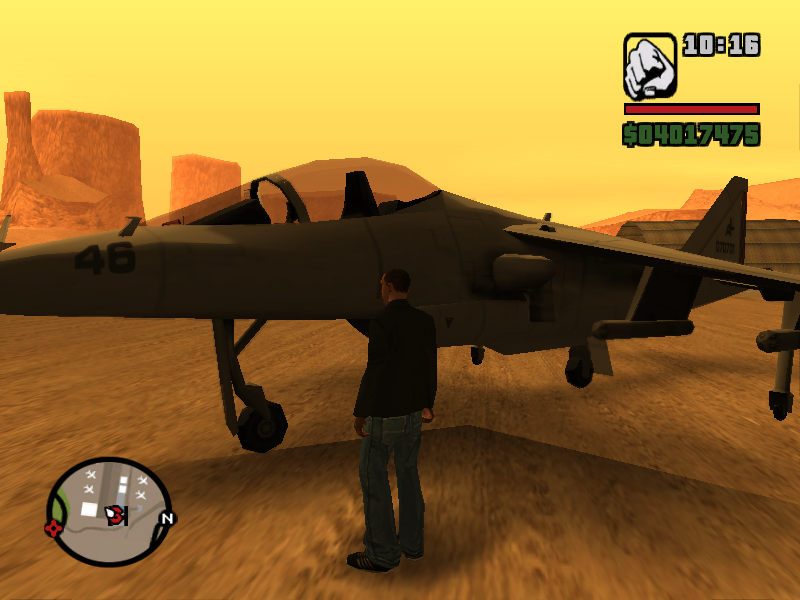 ...do you think you can fix the "blocky" sky gradients SA has, or at least improve it a little? You use PC, PS2 timecyc or a modded timecyc? My timecyc is the original from PS2 and have that "blockys" too.